This is the eighth article in our series on the 7 Steps to health and wealth. One of my most jolting experiences when it came to money was reading an article in the newspaper. The story talked about a young man describing the impact of losing his father on his family. He said, “I grew up middle class, but my younger sister grew up poor”. My heart just broke. His dad had worked so hard to give him a good education, but had not put in place the right mechanisms to protect the lifestyle he’d worked so hard to create. The challenge for all of us is properly preparing for the worst. Why? Because we all either think it won’t happen to us, or we will sort it out later. But the problem with that is that life happens – and sometimes before we’ve put what we need to in place. And then it’s too late. My friends and family will tell you that I’m almost evangelical when it comes to having a will. It GREATLY disturbs me when I discover people I care about and my new clients don’t have good wills in place. Death is traumatic enough for your loved ones, but when there is no will, it adds huge complexity and trauma to an already hard time. In a previous article we looked at the three reasons why you don’t want to die without a will. For many of my friends with young children, my fear is that when they die intestate (without a will), their money will go to the government to ‘manage on their behalf’. I don’t know about you, but for me I’d prefer there is more control of the money i’d worked so hard to save. A will also ensures that the money is managed tax efficiently (you pay 20% estate duty on your assets, as well as Capital Gains Tax). And it makes sure that your wishes for your money and your children’s guardianship are executed the way you want and not the way the government prescribes. One of the big challenges at the time of death is that all accounts in the deceased’s name are frozen. Even those that are Joint accounts. And so for the surviving spouse, they are now unable to buy food, put petrol in the car or pay the bills. Only once the Master of the court has approved the setup of the deceased estate can the executor then open accounts for the deceased estate. Thereafter, the assets need to be transferred from the deceased’s name into the estate. So it can take between 1-3 months to get these sorted. There are two ways to ensure that there is access to cash for the surviving spouse. Get life insurance in the spouses name. The reason life insurance is great for liquidity or easy access cash is because it bypasses the administration of the estate. That means that it goes straight from the Life Insurer to the beneficiary. So there’s no estate duty, and no executors fees. In our article on Life Insurance…how much do you need? we looked at the 4 reasons for life insurance in more detail. Besides liquidity, you also need life insurance to cover taxes at dying. You’ll pay 20% estate duty as well as Capital Gains Tax (currently a maximum of 18.8%). 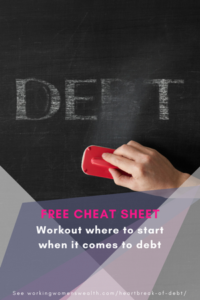 You also need to pay 3.99% of executors fees as well as all of the debt the person owes. These cover the short term needs that life insurance takes care of. In addition to that, many people who have not yet accumulated enough investments will also use life insurance to take care of the spouse and children’s needs after their death such as schooling and living expenses. And some use life insurance to leave a legacy for their children. 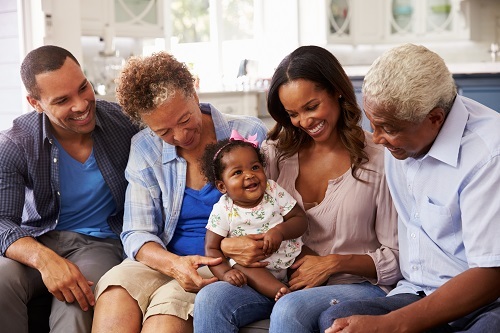 Our article on the 4 things you need to consider when choosing life insurance is a great guide to helping you choose the right type of life insurance, premium payments and the right payout patterns. These days a lifelong job doesn’t exist. And as the economy contracts, so companies retrench employees. My biggest suggestion is that if you need advice, don’t look to people in the company or your friends, get some good external counsel. There are strict laws surrounding retrenchment, and companies are obliged to follow them. Retrenchment insurance does exist, but it’s very, very expensive because people claim fraudulently so often. So it results in the terrible situation that those that need it have to pay way too much for it. So my advice of protecting yourself against this is two fold. Make sure you have at least 3-6 months of salary saved away as an emergency fund. In my experience with my clients, that takes around 3 years to save up, so start now! Begin to create a second income stream. It takes time to build, so again, start now. 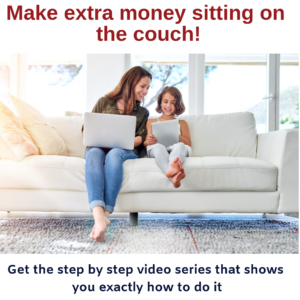 My article on 6 ways to make money sitting on the couch looks at how you can earn $900 by spending 1 hour a day on your computer. Turn off the TV, wake up early, and start earning your second income stream. Other people become disabled. Not us. It is unfortuneately the way we think about potential disability. Yet it happens to people like you and me all the time. Disability insurance is complicated and expensive. Like retrenchment insurance it’s expensive because it’s often fraudulently claimed (especially for back ache and depression). And it’s complicated because depending on the cause, the extent of disability is not often clear cut. Did the person lose one leg or two? Did it impact their Activities of Daily Living (ADL) or did it impact their ability to work. A computer programmer may be paralysed from the waste down – it will affect their ADL but not their ability to work, as they can still use their hands and program. My advice is to always go for the most comprehensive disability insurance that you can get. Get a small lump sum to help you e.g. equip your house to deal with the disability. And then get a monthly salary replacement income until you’re retirement age. If you are self employed, this is one of the most important covers you can get. Let’s face it, we all know or have heard of someone who has cancer. And it is devastating – both emotionally and financially. Especially if you’re self-employed, make sure you have critical illness cover. The challenge with it is that comparing between one provider or another is very difficult. This is because they all cover different amount of diseases. At the base of all of them is Cancer, Heart Attack, Heart artery bipass and Stroke. The reason for this is that these four cover approximately 80% of all critical illnesses people claim for. So make sure you have for this. Thereafter, it depends on your affordability and family history. Any one of these four could cause significant financial hardship. Together with good health insurance, make sure you are well planned to protect your families’ lifestyle from unplanned upsets.